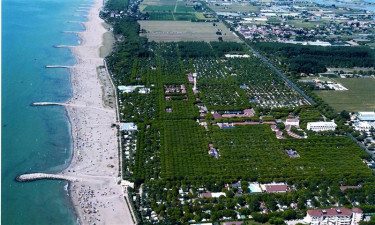 Union Park and Resort is one of the premiere luxury camping sites to be found between the Adriatic Sea and the famous Venetian Lagoon. Equipped to handle bungalow tents, mobile homes and luxury tents, the natural beauty of this camping holiday is perhaps only superseded by the numerous attractions and activities to be enjoyed here. Should you wish to find out more or to secure a reservation, please speak with a representative at Lux-Camp at your convenience. It is no secret that one of the favourite locations within this holiday camping site are the beaches which are located only minutes from all bungalow tents and mobile homes. A family can simply choose to enjoy a day under the blazing Mediterranean sun or instead, activities such as sailing, surfing and boat hire are excellent ideas. Of course, these waters are quite accommodating during the summer months and many eateries are located quite close to the beach itself. 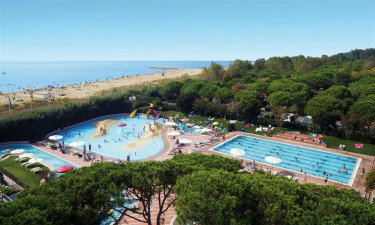 What are the reasons that my family and I should choose Camping Union Lido for our next luxury camping excursion? If you are searching for ways to occupy your time while camping in luxury, you have indeed come to the right place. The number of attractions is nearly unparallelled here. Only a handful of options include an on-site dive station, angling (for fishermen), golf, volleyball, table tennis and bike hire for nearby nature excursions. A children's play area and an open-air pool are also excellent alternatives to the beaches. 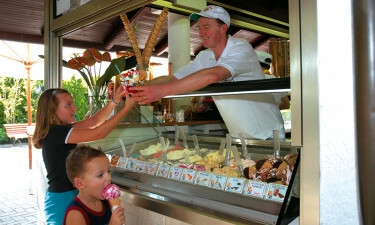 Should a family wish to dine out in splendour, Union Lido near Cavallino aims to please. On-site restaurants will cater to international tastes while they can also offer numerous local and regional dishes; perfect to enjoy a traditional taste of Italian cuisine. Poolside cocktail bars are also available for anyone who is searching for a cool drink to quench their thirst. There may be times when supplies run low or that a family wishes to enjoy a quality meal from the privacy of their luxury tent or mobile home. Thankfully, an on-site market will provide fresh fruits and vegetables alongside local produce such as meat, fish and fine Italian wine. These are but a handful of the reasons why any camping holiday at Union Lido will prove to be unforgettable for the entire family. Another advantage that cannot be overlooked is that Union Lido provides pitches which are designed for very specific needs. Bungalow tents, mobile homes and luxury tents are all on-site locations to be enjoyed. 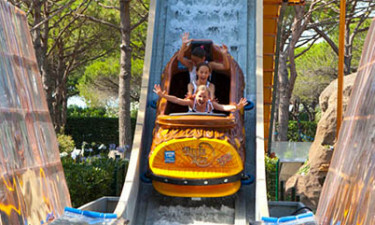 Naturally, all are found extremely close to the attractions within this luxury camping site. Modern washing and baby-changing rooms are also standard options. A final benefit is that all are fully equipped with wireless Internet service. Lux-Camp is happy to provide further details and prices upon request.